In the few rare moments when I get time to sit under our back patio to relax and enjoy the view of the garden my mind usually starts to wander, and this is the time my wife Judy dreads. This is where I come up with the ideas of what I can do next in the garden and this means time, money and loss of some lawn area. Having been married longer than two life sentences for murder (only joking of course) my wife can read me like a book. She knows ‘The look’ and immediately says “Oh no, not more lawn disappearing”. Just a little bit wider…. My ‘mind garden’ always starts big and grand but always ends in a compromise, and the end result is usually good (and still married). I am not ashamed that I have a fixation with curves; all my gardens have sweeping curves. This is something I will not compromise on. There is obviously no underlying motive, other than being a mere male – hope that does not sound too sexist, it must be my age. 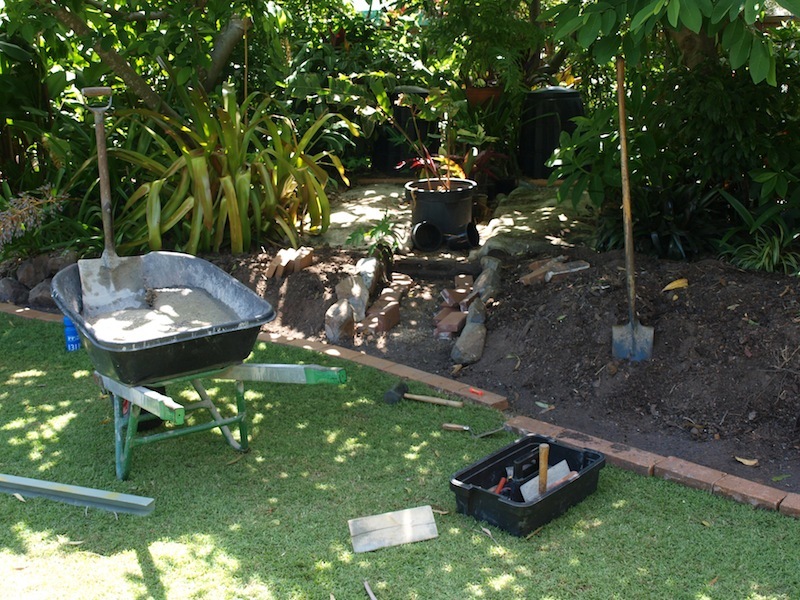 I am able to picture a new garden in my mind but never put that mind picture onto paper; I just roll out the garden hose (for the curves) collect the rocks, fire up the cement mixer and go on from there. My wife and I can disagree with the type of plants to go into the new garden. I have learnt over the past 44 years not to argue, so sometimes she wins, and sometimes I win. At least I have the advantage of knowing where the ‘roundup’ is kept. Judy came up to me recently and said there was a problem with the back lawn dying. As I cannot tell a lie, I had to tell her that I had poisoned the lawn and it was going to be a new garden. She replied “you promised me you would not take away any more lawn’, well I said “sometimes promises are meant to be broken”. She got very angry with me and to this day has still has not forgiven me. Sometimes a man just has to do what a man has to do and suffer the consequences. My mother was always digging up the lawn to make bigger garden beds. One day she came home (from a nursery, I’m sure) to find my father had pegged out an area of lawn. When she asked what it was, he replied “That’s Poland. If you invade, it’s war”. 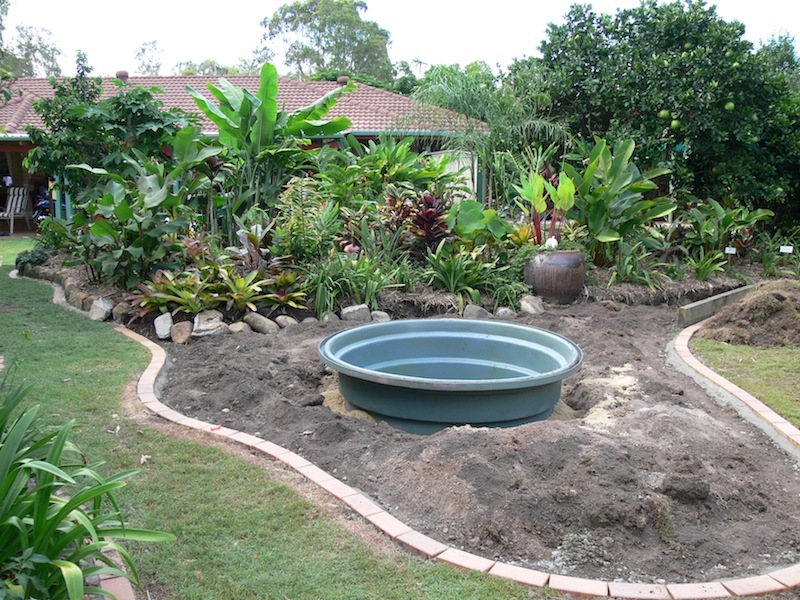 Hoorah, someone else like me that loves to get rid of lawned areas and fill with garden or vegie beds! Can’t see the point of having a mass of green lawn when it could be serving a useful purpose, like growing things! Edible or otherwise…. Other half simply awaits my instructions as to which area next gets converted into a bed. After 42 yrs of marriage he knows it’s so much easier just to follow my instructions and I totally ignore the frowns and raising of eyebrows when I mention yet another garden project! Love the idea of curves throughout the garden too. Oh that you weren’t so far away and we could visit your garden during the Open Garden weekends, which we are huge fans of. Happy Gardening! If I get rid of any more lawn I am dead. I think this aticle is funny. Of course you want to change things in the garden. I do like some lawn, but tooo much is just asking for…… development. Hi Ian, I do like this article and your sense of humour! Congratulations on what you have achieved since your retirement. 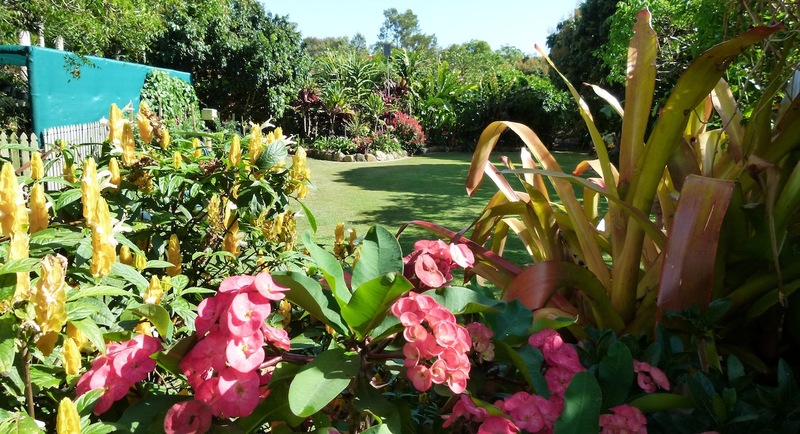 I do love your garden and will look for further photos of it. My little garden in Goulburn was lawn and rubbish 7 yrs ago; it’s now a thriving native garden but still has quite a lot of lawn, diminishing by the month. 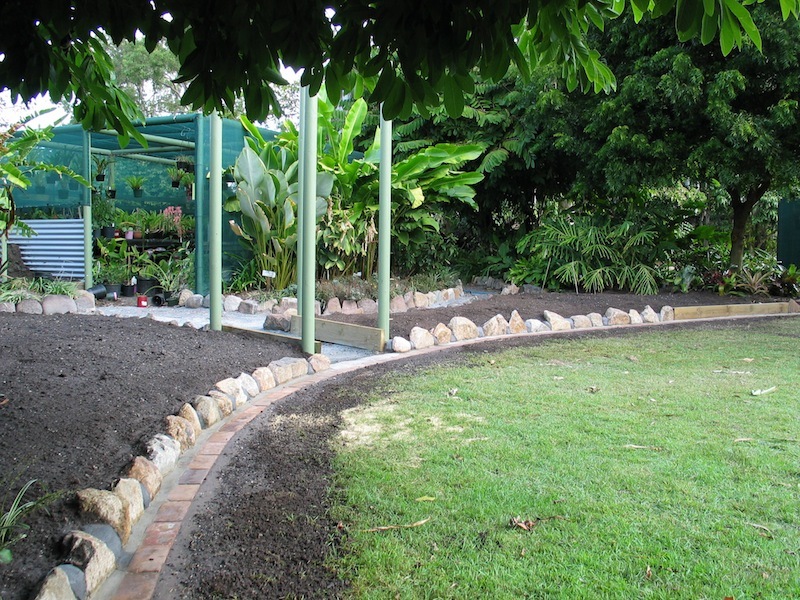 As each new curved garden is completed I start up another curved garden so that in some parts the lawn has become a curved path; yes, always curves! Eventually the lawn paths witll be covered in crushed slate from our local slate mine… looking forward to that. 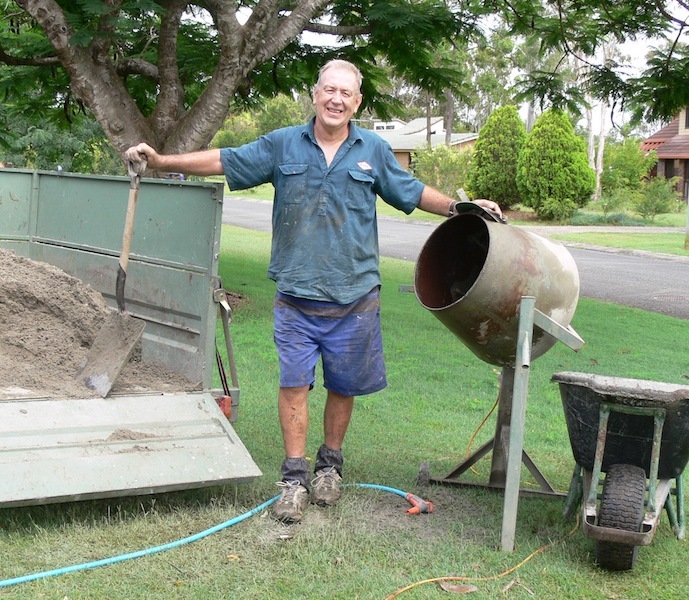 I live alone and have a young man in to do the heavy digging (grass, dirty dirt then dense clay) and he never questions what I’m doing; aren’t I lucky! Thanks Ian. I have so enjoyed your story and, of course, your garden. pretend we live in the same climatic region. Ha ha, we are kidding ourselves but we keep experimenting, mostly with disastrous results. 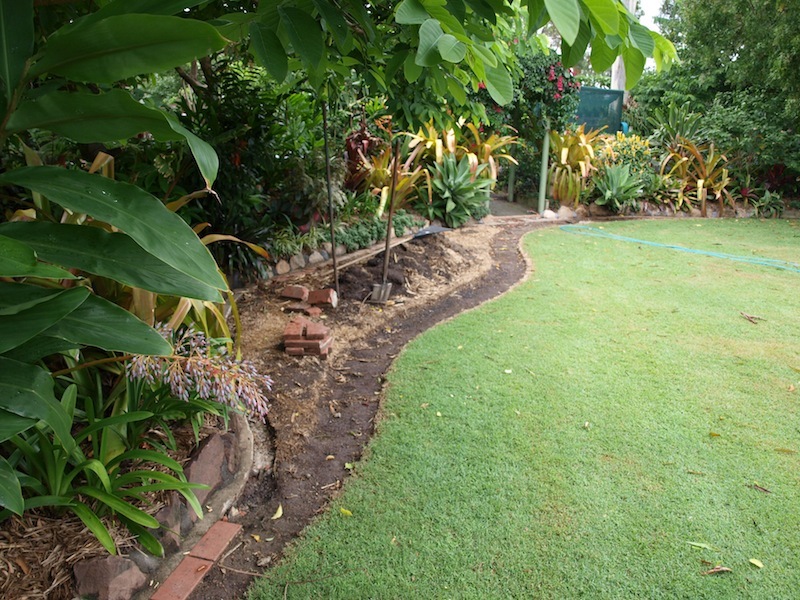 Obviously your garden is keeping you very happy and healthy, so keep on with those curves! Edna Walling will be smiling down on you.